Originally the Thaddeus Stevens School of Practice, The Mural Lofts, offer beautifully-designed historic loft apartments. Located on the corner of Broad and Spring Garden, the Mural Lofts building is a beautiful addition to North Broad Street’s renaissance. These beautiful boutique apartments feature both modern and classic style with finishes that include stainless steel appliances, granite counter tops, modern plank flooring, and huge loft-like windows. Amenities include a rooftop pool, gym, and sundeck located just a block away at Lofts 640. 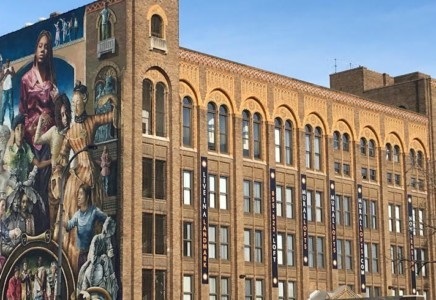 The Mural Lofts are located within walking distance of amazing restaurants and public transportation. Let the James ‘Right’ Price Team’s real estate acumen make life in the Mural Lofts Philadelphia luxury condominium a reality for you today!